Have Kids? Better Have Lice Treatment. If you have children you know that getting into some sort of trouble always seems to be just around the corner. This is by design of course. The bumps and bruises of life are what make us grow up smarter and stronger and the precociousness of kids is a perpetually renewable resource. So if there is ever the chance to get lice, and believe us there is often the chance to get lice, it seems more likely than not that your kids will find themselves on the receiving end. This is why any house with children or even houses where children might show up (be they grandkids, neighbors, nieces and nephews), should be prepared with some of the lice treatment items available from the Lice Busters website. The experts at Lice Busters are outfitted with the most effective way for how to treat lice. If you scope out their site you are likely to find a wealth and variety of information for ridding your children and your home of lice and nits as quickly as you found them. It could be a vital asset in a fight against these guys and you do not want to be caught off guard by an infestation. When a child comes home with lice we all know it is silly to blame them. It can be a stressful occurrence and all that, but for them it is likely a lot more startling. They are afraid of being ostracized at school and they are uncomfortable thanks to the bugs being in their hair. 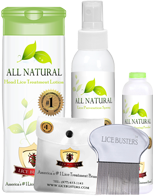 With some of the helpful products from the lice experts at LiceBustersnyc.com you can set yourself and your child at ease and you can both get back to normal quickly.